Toronto, ON / ACCESSWIRE / August 11, 2014 / Starting a website is just the first step towards success online, but to get things going you need to high quality website traffic. To get it however it's not easy and many people resort to buying low quality website traffic and gaining no conversions whatsoever. Introducing an easy way to boost website traffic called Traffic Genesis. With this innovative system you will discover incredibly effective ways to drive conversion oriented traffic and boost sales right away. What's Different with Traffic Genesis? The internet is full with all kind of free traffic schemes and ways to buy unlimited website traffic, but none of these actually focuses on what’s truly important for every website owner – conversions. Don't fool yourself, with Traffic Genesis you will learn how to drive ready-to-buy customers directly to your sales page for just fraction of what you're making. The best thing is that you will have the rare opportunity to learn from some of the best in the online marketing industry. 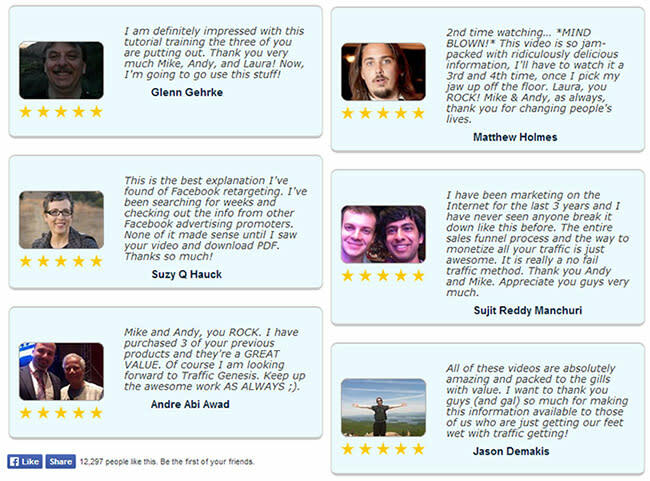 Traffic Genesis allows you to learn from easy to understand tutorials, essential techniques and principles of online marketing. You will take control of every aspect of successful traffic generation and learn how to leverage it quickly by using small budgets. 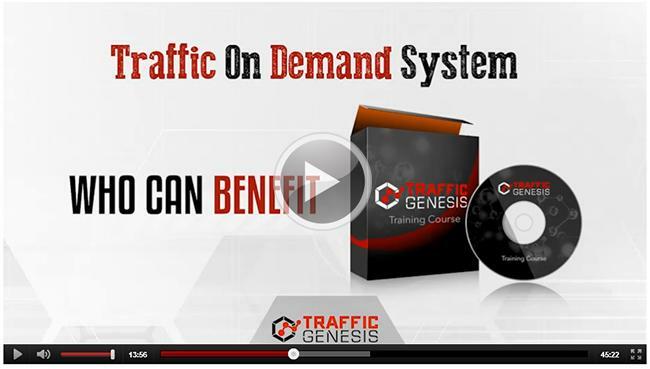 The best thing about Traffic Genesis is that you can use the training system for 6 months without spending a dime. Don't think you will not receive any of the bonuses included – even with the 6 month PayPal Bill Me Later option, you will receive further training bonuses worth more than $4000! Signup for Traffic Genesis and learn from the best in traffic and lead generation to maximize your online profits. Discover the effective online marketing and start making sales today!